A spacecraft destined to explore a unique asteroid will also test new communication hardware that uses lasers instead of radio waves. "I am thrilled that Psyche is getting to fly the Deep Space Optical Communications package," Elkins-Tanton says. "First of all, the technology is mind-blowing and it brings out all my inner geek. Who doesn't want to communicate using lasers, and multiply the amount of data we can send back and forth?" "Doing so would allow the support of astronauts going to and eventually landing on Mars," says Abhijit Biswas, DSOC Project Technologist in Flight Communications Systems at JPL. "Laser communications will augment that capability tremendously. The ability to send back from Mars to Earth lots of information, including the streaming of high definition imagery, is going to be very enabling." Psyche is both the name of an asteroid orbiting the Sun between Mars and Jupiter — and the name of a NASA mission to visit that asteroid. Only the 16th minor planet to be discovered — hence its formal designation, 16 Psyche — the asteroid was found in 1852 by Italian astronomer Annibale de Gasparis, who named it for the Greek mythological figure Psyche. What gives 16 Psyche great scientific interest is that it is made of metal. It appears to be the exposed nickel-iron core of a protoplanet, one of the building blocks of the Sun's planetary system. 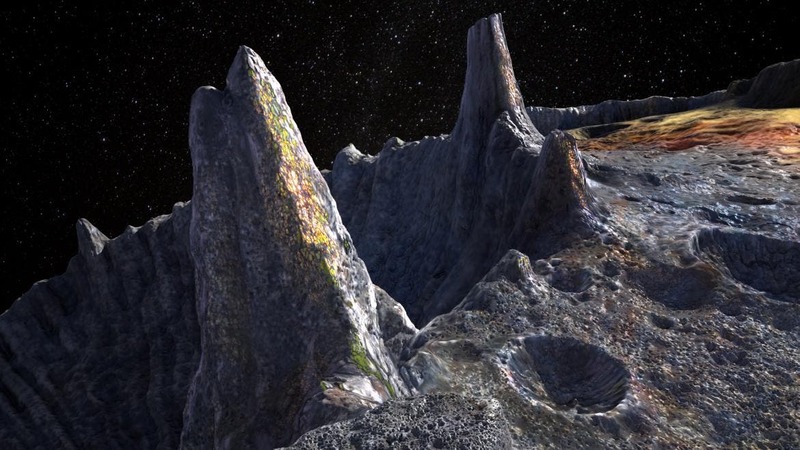 At 16 Psyche scientists will explore, for the first time ever, a world made not of rock or ice, but of metal. “This is the only time a human being is ever going to see a core,” says Elkins-Tanton. “The best we’ve ever imaged it is as a point of light. We don’t know what a metal world—its cliffs, its mountains, its impact craters—is going to look like.”. The Deep Space Optical Communications (DSOC) package aboard NASA's Psyche mission utilizes photons — the fundamental particle of visible light — to transmit more data in a given amount of time. The DSOC goal is to increase spacecraft communications performance and efficiency by 10 to 100 times over conventional means, all without increasing the mission burden in mass, volume, power and/or spectrum. Tapping the advantages offered by laser communications is expected to revolutionize future space endeavors – a major objective of NASA's Space Technology Mission Directorate (STMD). "Things are shaping up reasonably and we have a considerable amount of test activity going on," says Biswas. Delivery of DSOC for integration within the Psyche mission is expected in 2021 with the spacecraft launch to occur in the summer of 2022, he explains. "Think of the DSOC flight laser transceiver onboard Psyche as a telescope," Biswas explains, able to receive and transmit laser light in precisely timed photon bursts. DSOC architecture is based on transmitting a laser beacon from Earth to assist line­of­sight stabilization to make possible the pointing back of a downlink laser beam. The laser onboard the Psyche spacecraft, Biswas says, is based on a master-oscillator power amplifier that uses optical fibers. As a "game changing" technology demonstration, DSOC is exactly that. Work on the laser package is based at the Jet Propulsion Laboratory in Pasadena, California.